Food and Beverage - Dimension Systems Inc.
With information technology, the food and beverage industry now has the capability to be more productive while minimizing errors and decrease costs to remain economical and cost-effective. 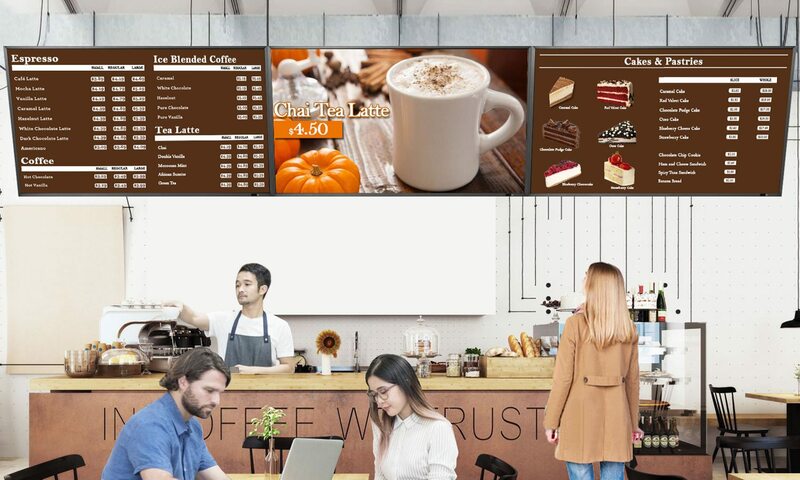 IT can be utilized by streamlining food & drink preparation, maximizing overall store location, managing purchases and orders and effectively marketing the brand and its promotions. All the while these are being implemented; you will then see a greater value in technology. Here are the best solutions fitting for your industry. Have a clearer view of your security system by viewing surveillances from large scale screens. 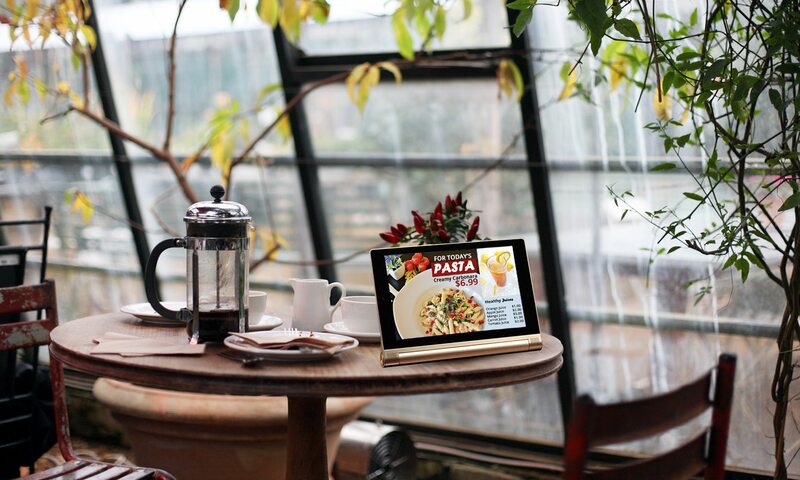 Create a More Memorable Customer Experience and Bring the menu to Life. Monitor your network and the performance of each. Streamline service and bolster operational efficiency by pushing relevant content. 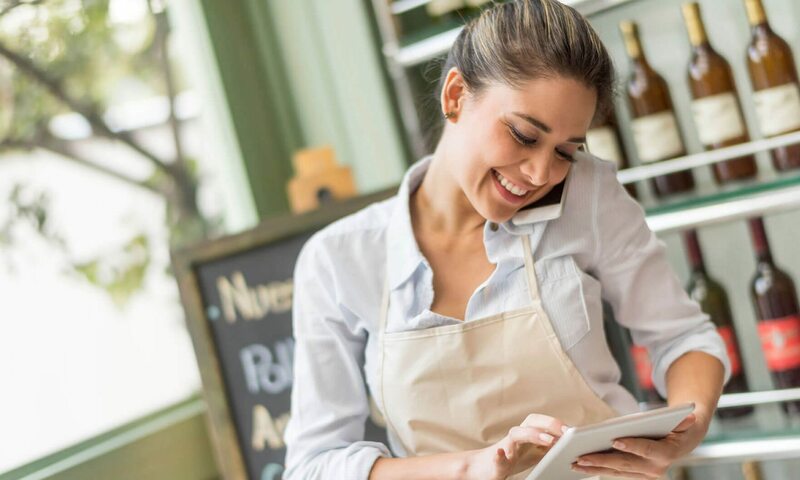 Increase service efficiency and give your customer a new level of experience. 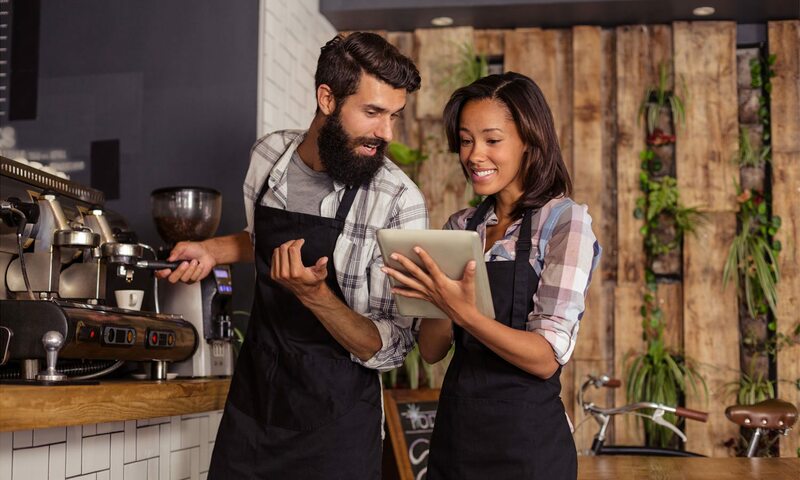 Allow your staffs to take orders digitally with smart tablets at your shops. Manage and control content being displayed across all tablets. Create dynamic content to entice your customers. Providing you another form of brand marketing and strengthen your online presence. 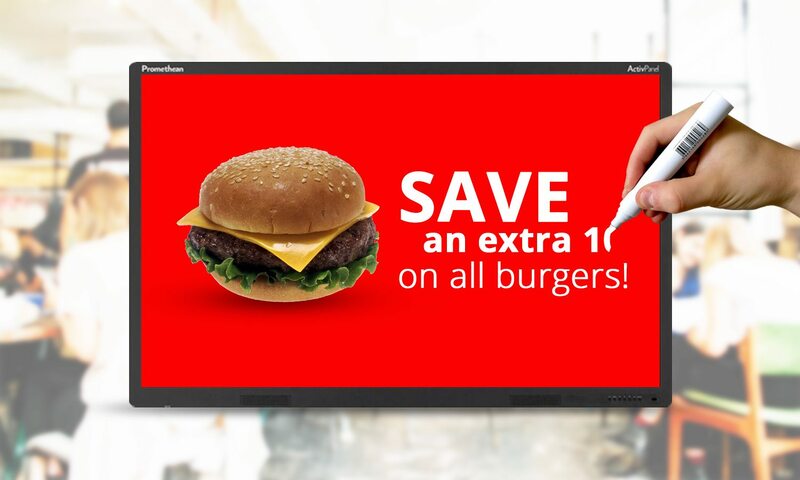 Provide premium graphics that you can use for your menu, website and overall brand. Provide relevant content available for your market. Smart machine that can cater to your point of sale orders. Provide big-business performance with impressive processing power and 15 months of platform stability — all while remaining energy-efficient and saving you space. 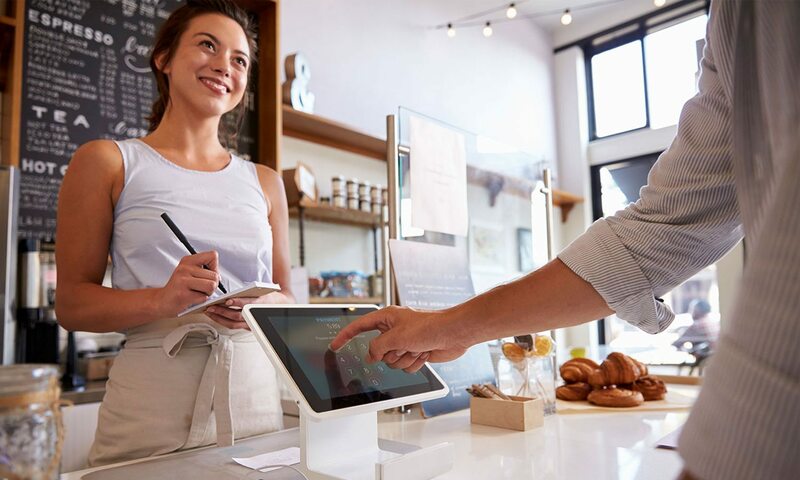 Taking proactive approaches to prevent issues before they even occur, protecting your overall POS system. Deploying content at point of sale terminals to entice more customers to purchase. We provide illustrations that appeal to your customers and help you increase sales. Always be available to customers with affordable business phone systems. Ensure you never miss a customer call with its suitable call features. Track service performance metrics based on calls and improve workflow efficiency and communications with complete hardware solutions to have smooth VOIP calls. 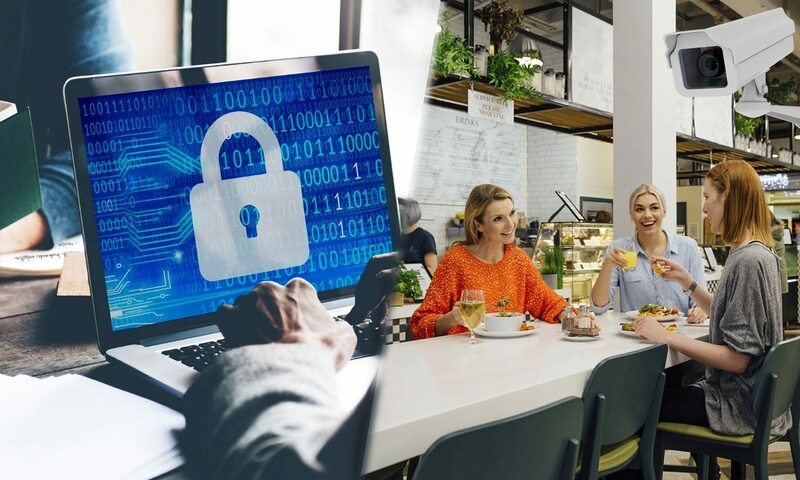 Protect important customer call logs from viruses and secure your network from threats that could affect restaurant or production operations. Protect important restaurant information from potential intruders. Make crimes almost impossible with effective surveillance systems. Safeguard video recordings that might be subject to digital threats. Bring new capabilities while virtually working with office software and personal and business devices where you can control gathered data. Office applications that you can use in getting things done with reliable computing devices that fit in every environment and situation.